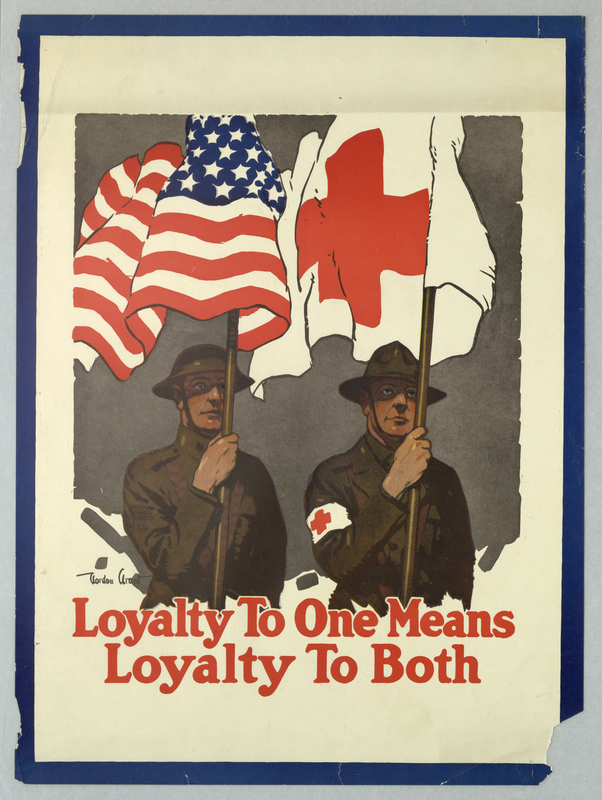 In this poster, volunteering and donating to the American Red Cross (ARC) are both presented as a citizen’s patriotic duty. The poster’s text strongly suggests that avoiding membership in the ARC is un-American. The design and message of this poster refute the organization’s history of neutrality prior to the start of World War I. Grant, Gordon, “Loyalty to one means loyalty to both,” Digital Public Library of America, https://dp.la/item/fa1fe42759d78d38468cbf6a094c7ab4. Courtesy of Cooper Hewitt, Smithsonian Design Museum via Smithsonian Institution.